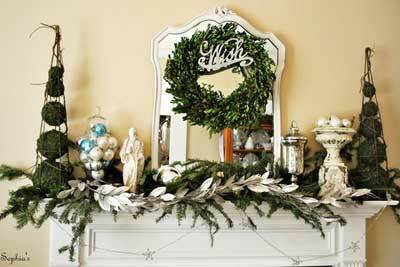 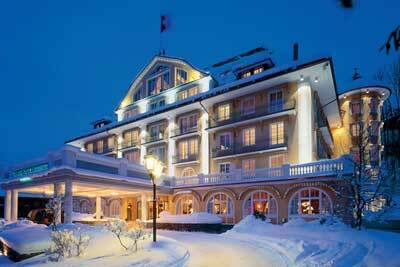 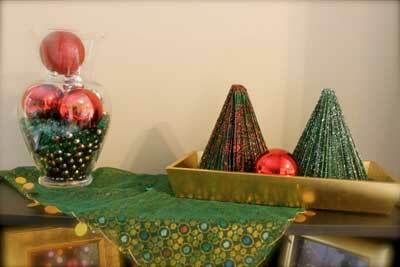 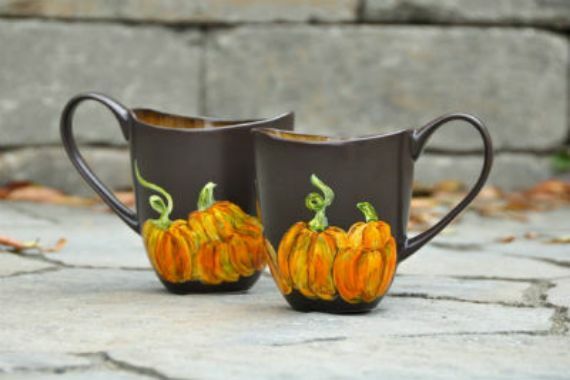 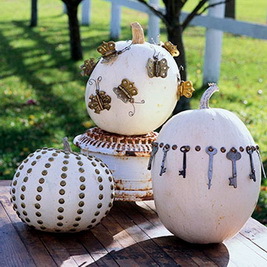 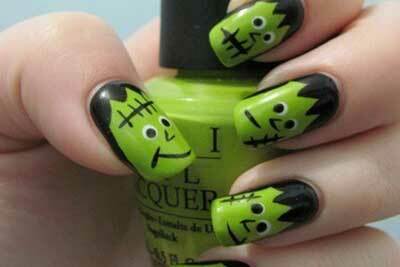 As Halloween is quite at hand and Halloween bells can be heard in the air. 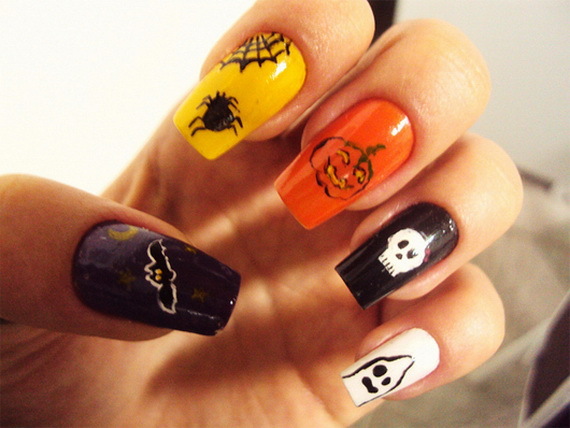 because Halloween is the time of celebration and superstition. 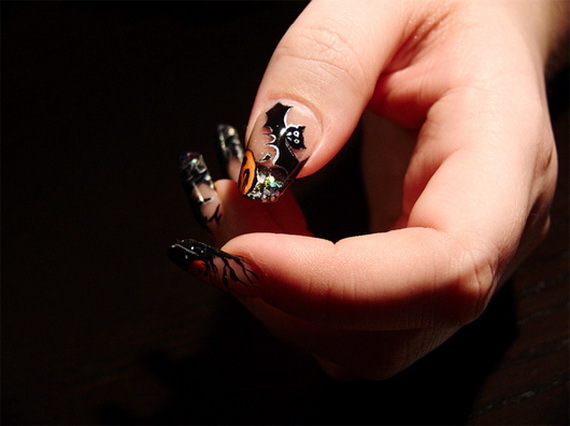 It make designers busy introducing new accessories, costumes or Halloween nail arts, and creative ways to celebrate it in a unique style making its lovers anxious to get ready for the festival. 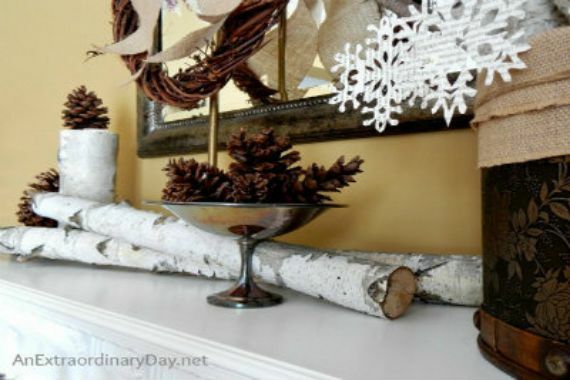 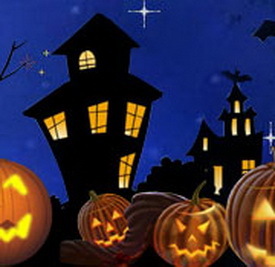 Everybody is busy preparing his special way to celebrate Halloween with different crafts including decorating ideas, scary costumes, unique , nail art designs etc. 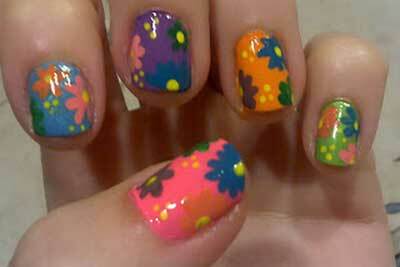 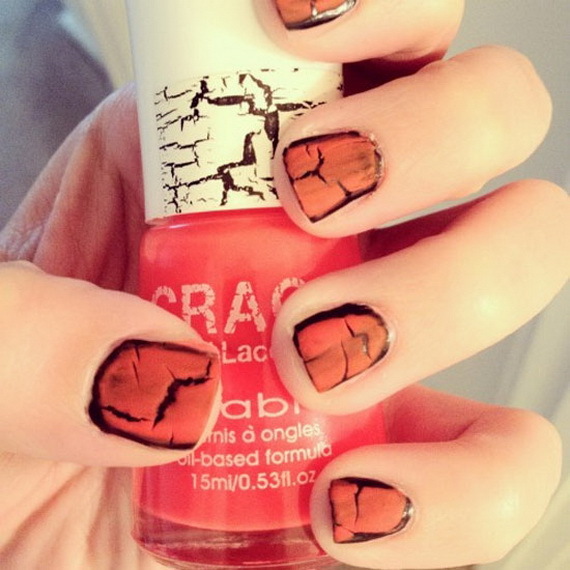 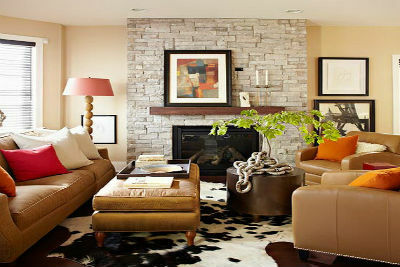 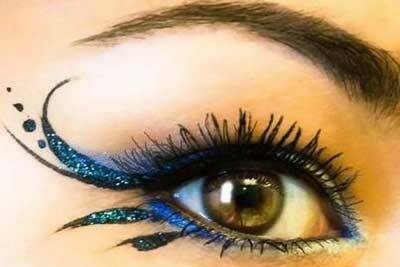 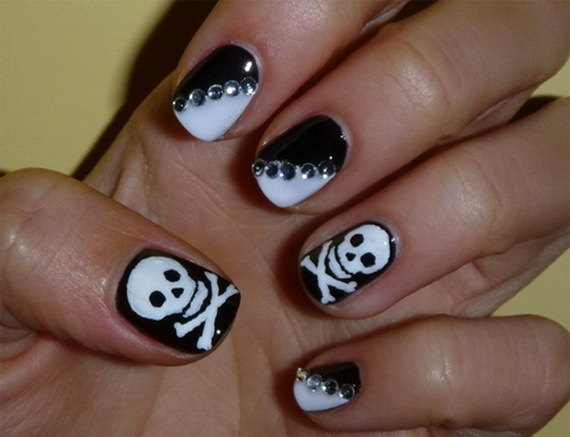 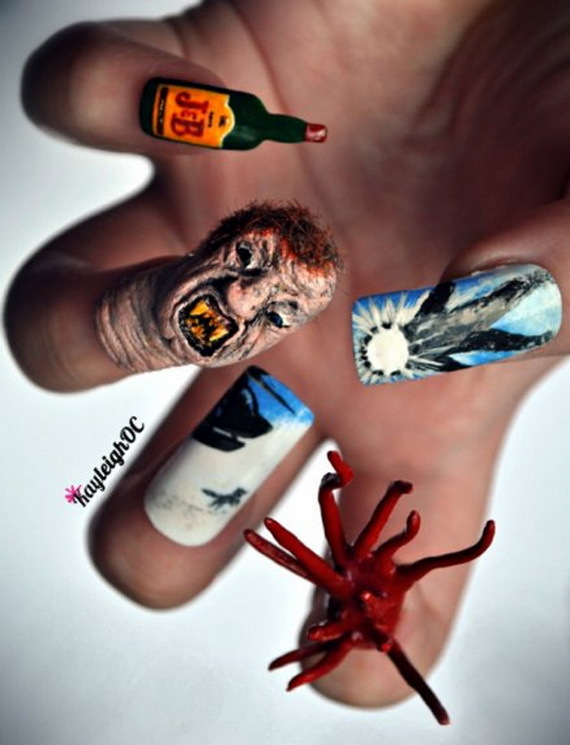 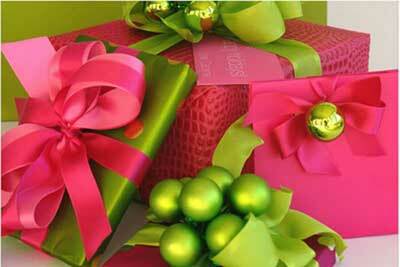 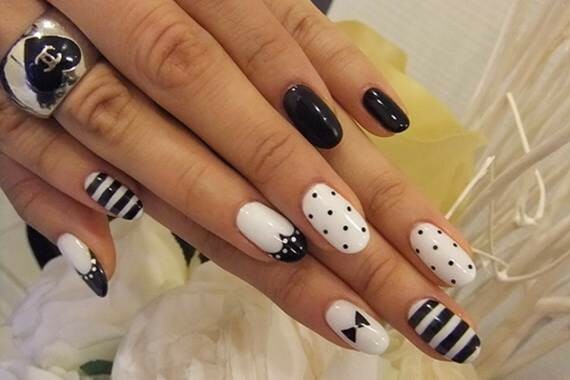 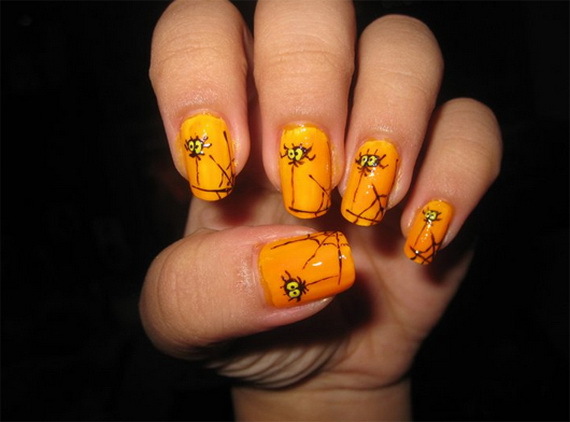 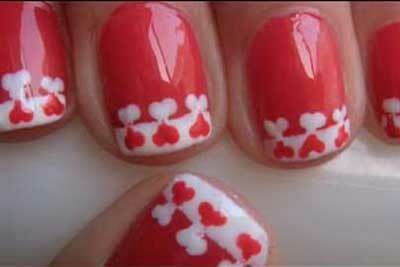 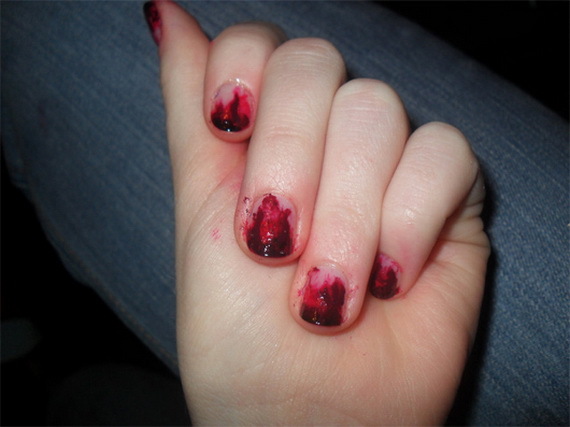 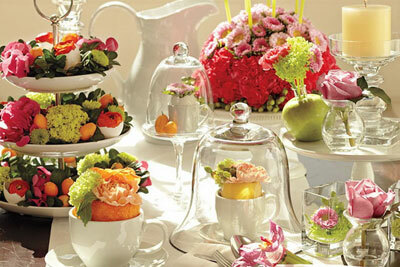 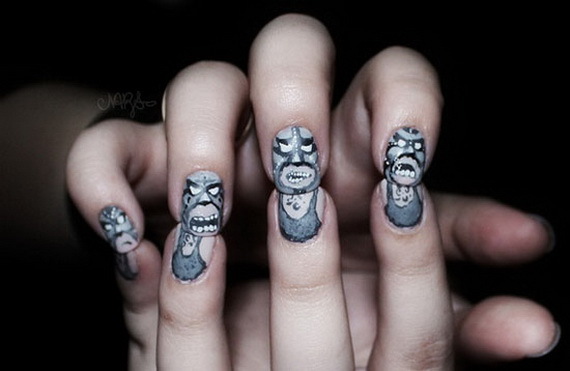 Nail art designs is a fun hobby, you fell its specialty on an important occasion. 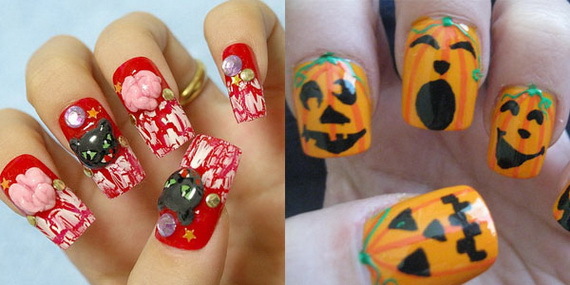 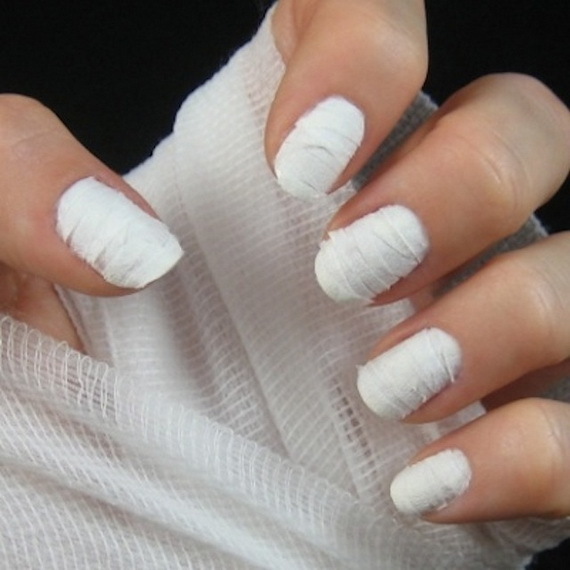 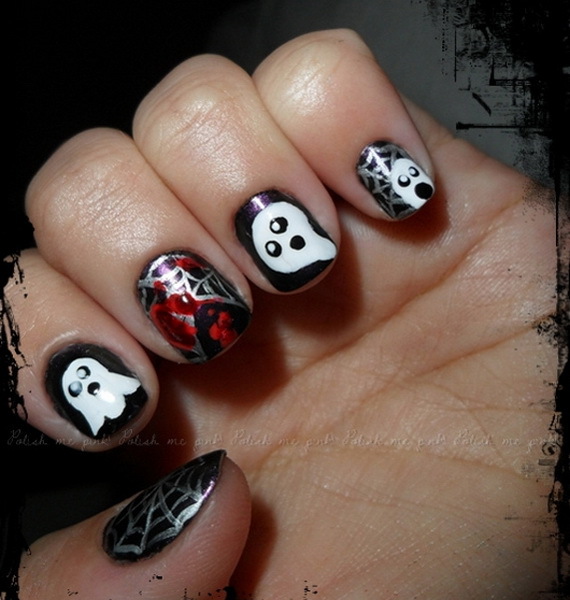 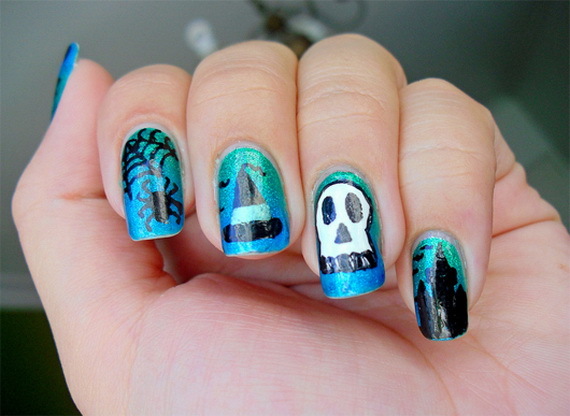 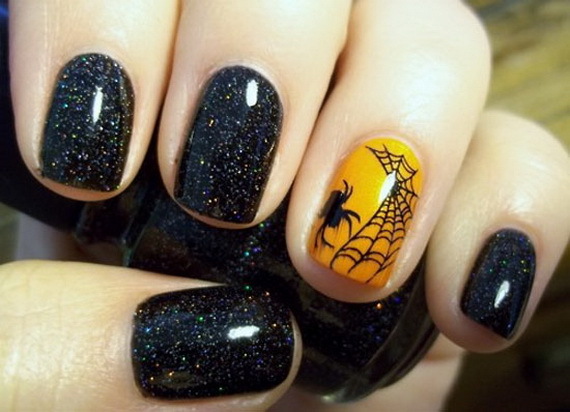 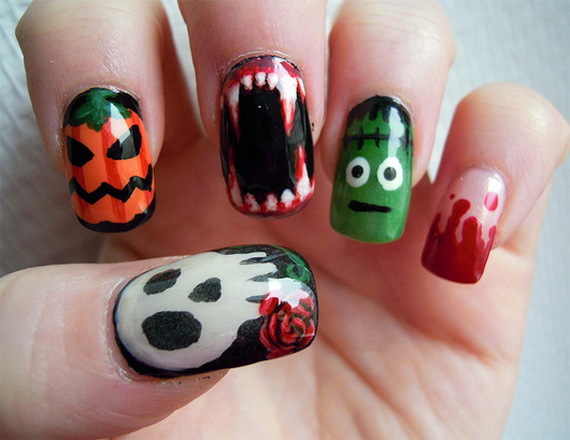 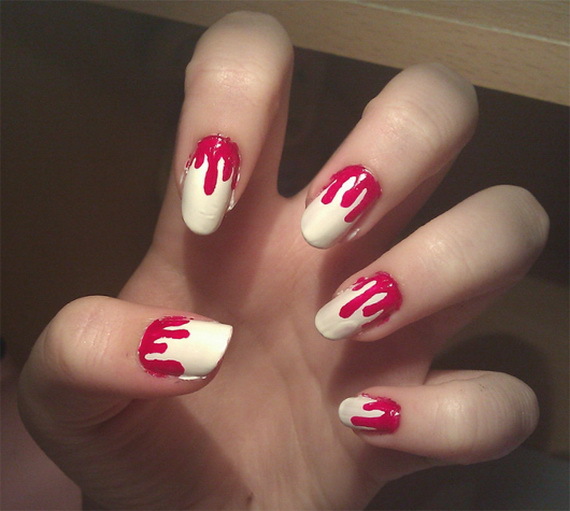 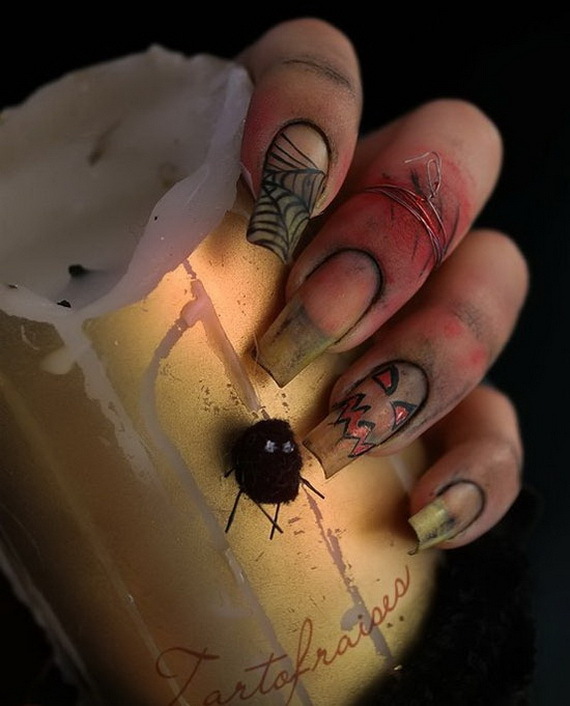 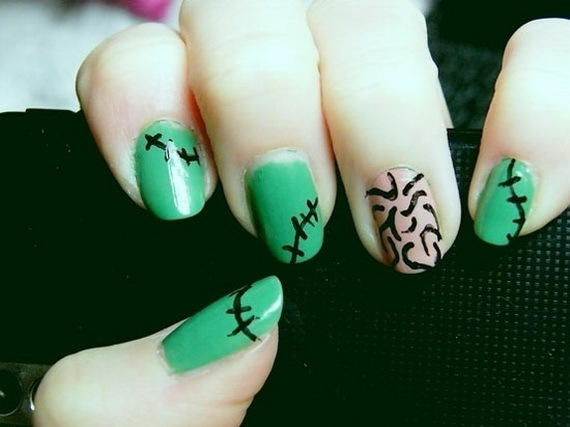 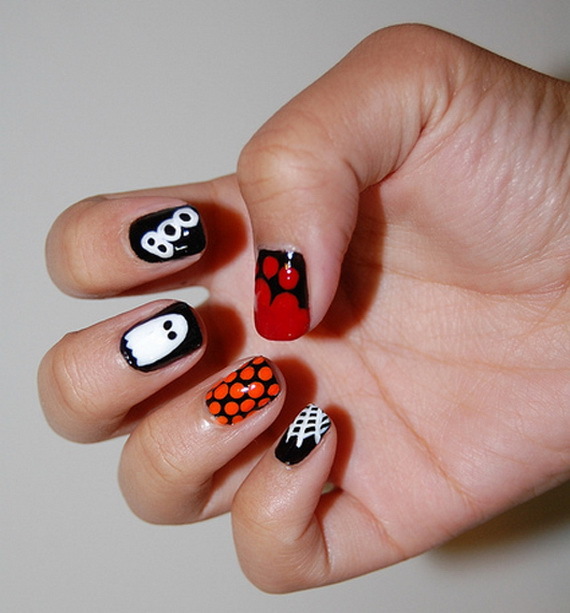 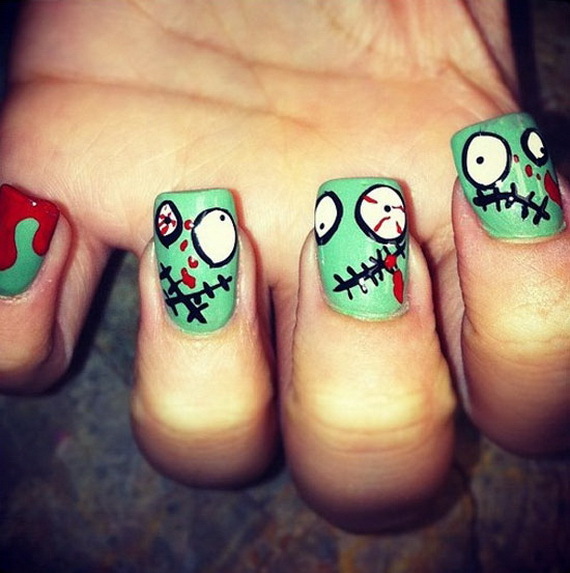 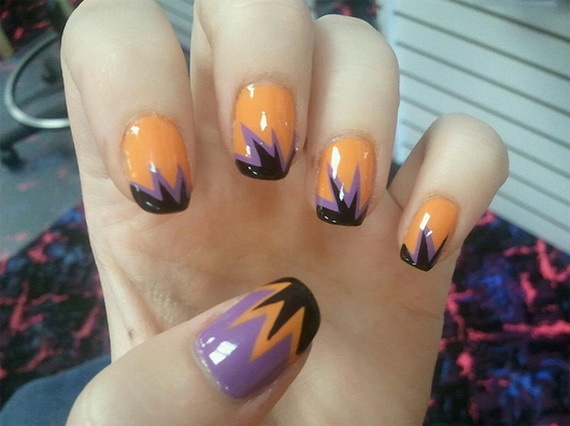 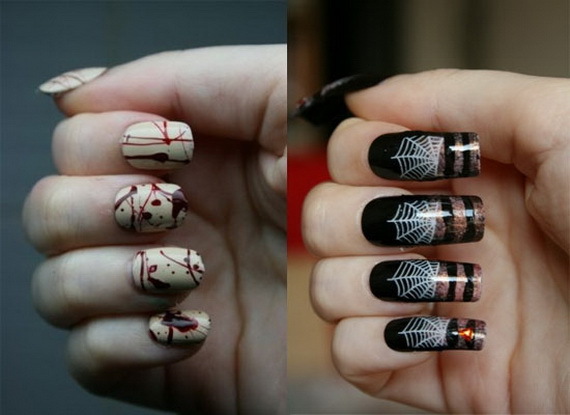 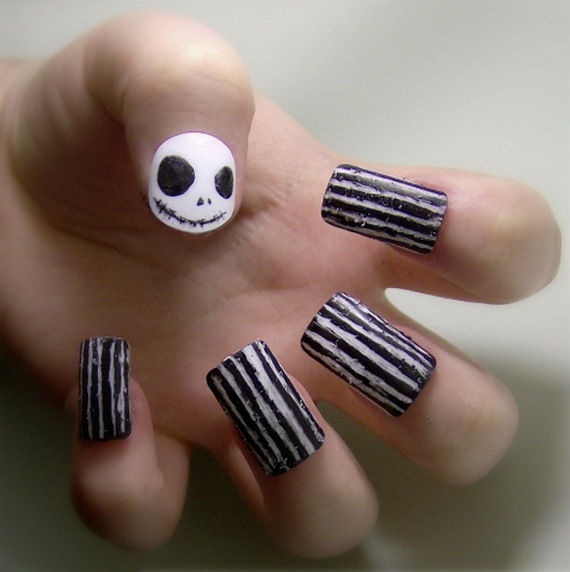 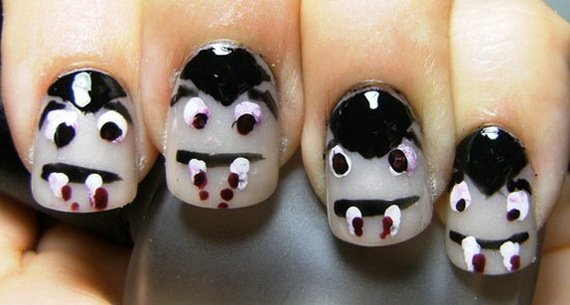 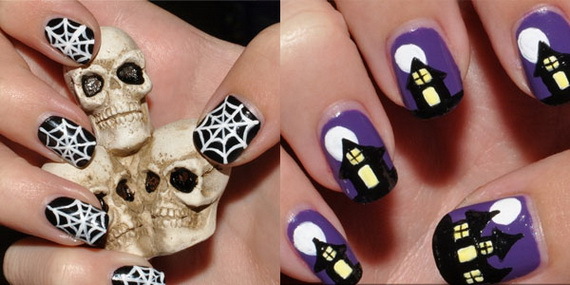 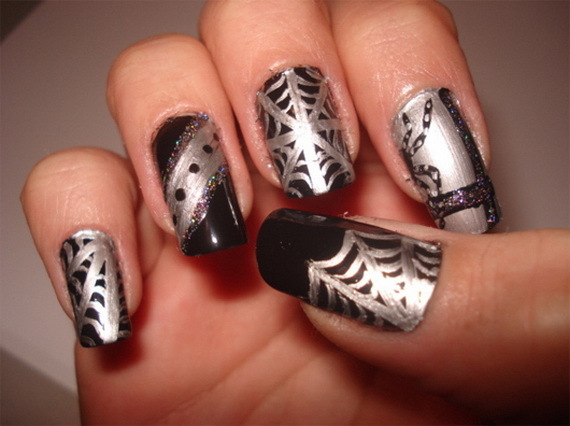 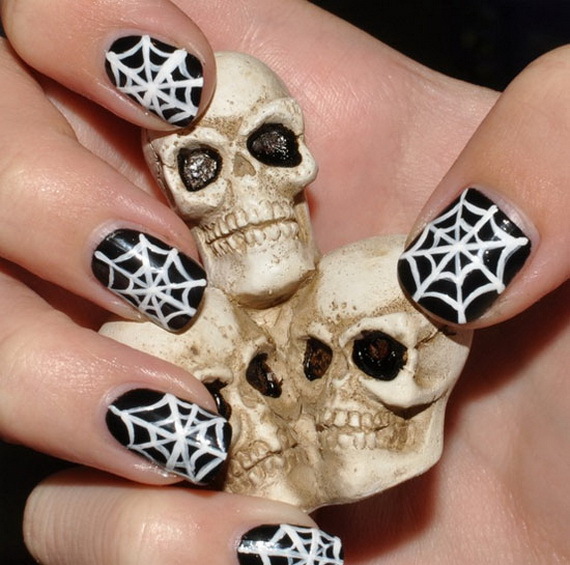 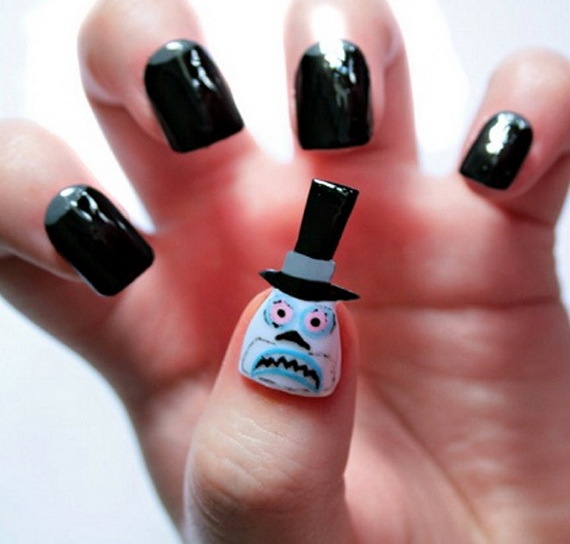 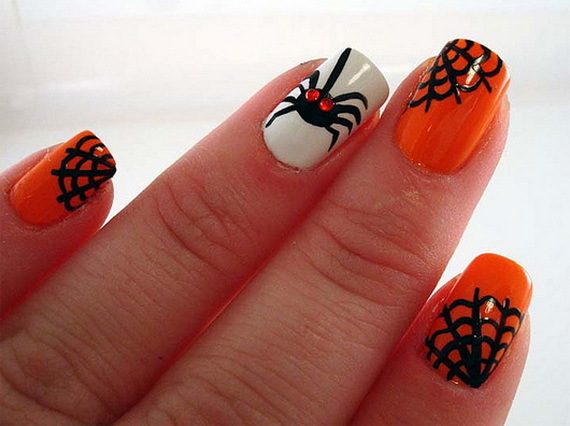 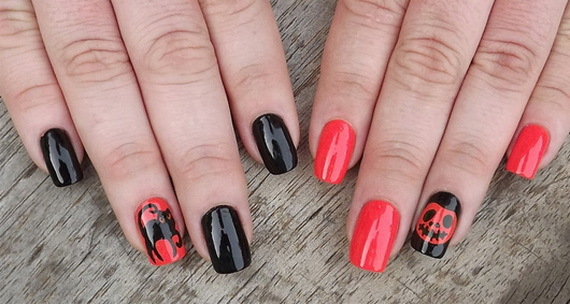 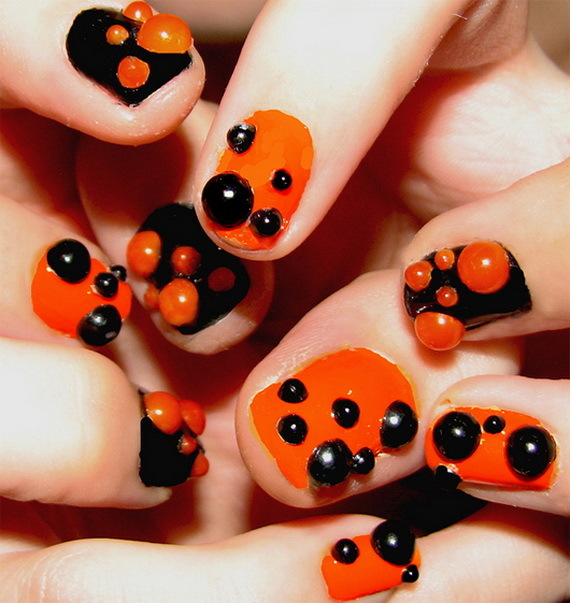 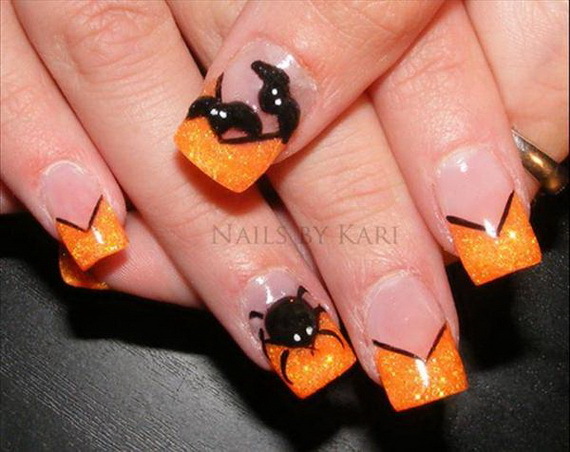 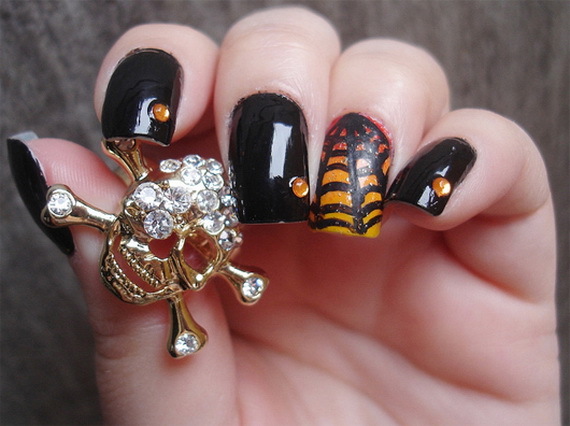 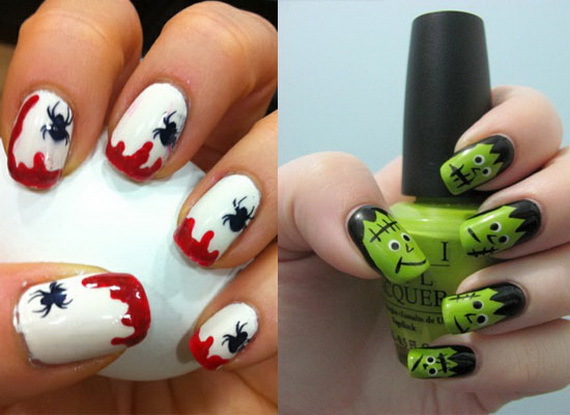 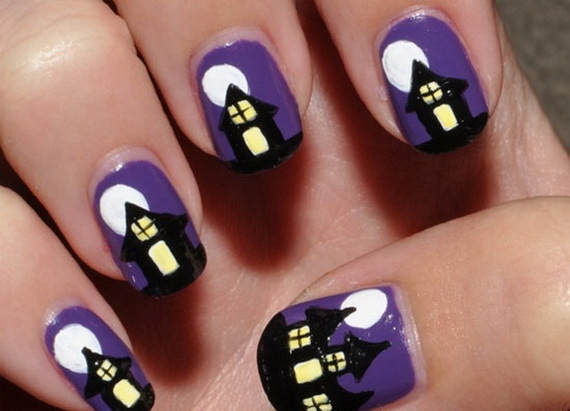 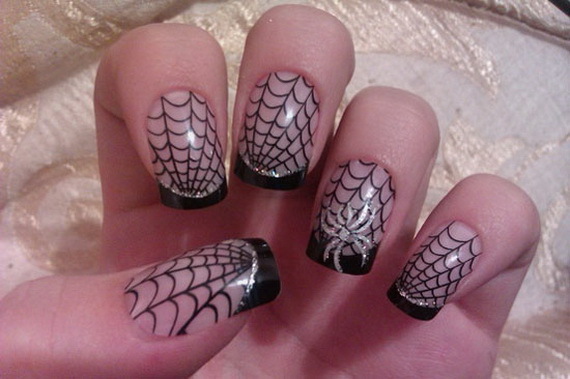 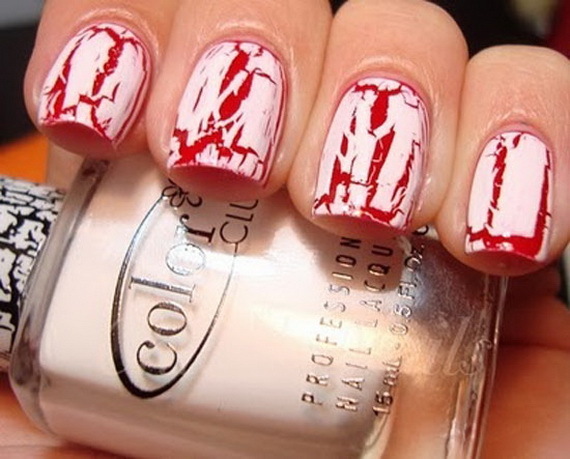 In this post we have gathered 50 Simple, Easy, Spooky & Scary Halloween Nail Art Designs, Ideas for 2012, as they are quite common and famous at Halloween night. 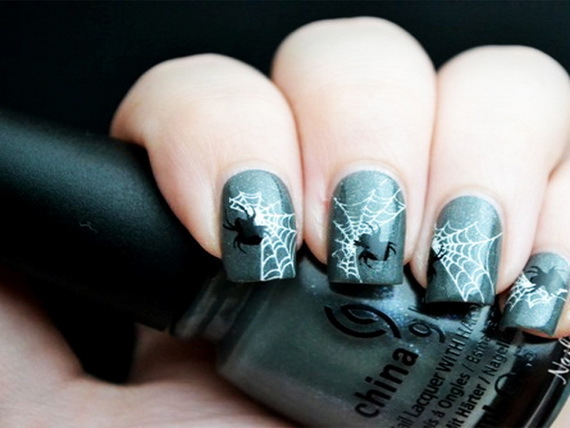 Choose your design that fit your Halloween costumes style and mood and get ready have fun for all the thrills, chills, tricks and treats of the Halloween season!